David Powers King: Moonpennies, Exclusive Cover Reveal, Woven Is Now On Goodreads, and Author's Think Tank Interview! Moonpennies, Exclusive Cover Reveal, Woven Is Now On Goodreads, and Author's Think Tank Interview! I'm going to hold up the flow of sci-fi and fantasy awesomeness to share the news that a good friend of mine, clear back from middle school, Alanna Rosette, has entered the indie scene with her first contemporary romance book, Moonpennies. How cool is that? Lina Daniels was eleven years old when her mother divulged that true love doesn't exist and heartbreak is inevitable. Now a late-twenties struggling writer, Lina is terrified of opening her heart to anyone. She fumbles through life, battling bouts of depression and avoiding real relationships at all costs...until one too many glasses of wine at a New Year's Eve party undermines her resolve. She ends up in the arms of an irresistible prospect and decides to give love a chance. The better judgment of her best friends tells her he's not the right guy. But finding the courage to fall in love is only the beginning of Lina's journey. Uncharted risks and bold mistakes open her eyes to a life-changing realization. She may learn her mother was right about the certainty of heartbreak. Yet she may also find that true love does exist, and it makes the heartbreak worthwhile. I'm super proud of you, Alanna! Keep rockin' the awesome! There's a special cover reveal happening today, exclusively over at Michael Di Gesu's blog - partially because Michael did the art for it! Man of many talents, he is! Head on over to his blog and check out the reveal for Siv Ottem's new book! You won't be disappointed. Since the release date for Woven continues to creep along, the book will pop up here and there across the Internet - like Goodreads. In fact, you can see it there now! If you've been looking forward to adding Woven to your TBR list, now's your chance. See it here! 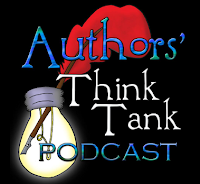 I had the chance a few months ago to be part of a series of interviews at the Author's Think Tank, conducted by the most amazing James Duckett, Jennifer J. Bennett, Chas Hathaway, and Charlie Pulsipher. If you'd like to pop on over, you can listen to our interview where I talk about blogging and how to gain a following. It's an awesome site with lots of great guests. Click and browse around! 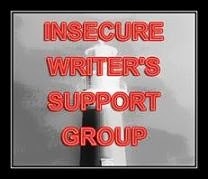 Update: writing, writing, and more writing - that's the life for me! 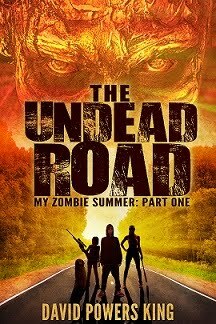 It's pretty much my endgame this week: finish a novelette and get crackin' on the final lap of The Undead Road. If the Universe is willing, I'll have it all done in time to watch more Merlin. I'm so hooked and way behind on that show - so don't spoil it for me! 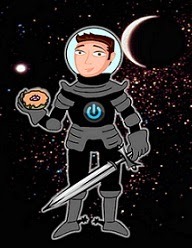 I have a very special guest ready for you this week, so be sure a report back soon - a full plate of cosmic crullers await you! Will have to listen to you then! Glad Woven is on Goodreads finally. Is your publisher doing a giveaway? Best of luck on your novelette, and to Alanna on her release! Thank you very much, Meradeth! I only have one friend who has actually pursued writing, and he writes horror. (Awesome horror.) I'm listening now, how fun! Good luck with your writing though ... I definitely do not want to go into space if I have to fall out though .. Gravity looks cool. A little creepy. How do you survive after floating aimlessly in space? Worse than being lost at sea. Definitely an astronaut's worst fear. And some non-astronauts. Dang that's a cool name for a book!! The suspense for the guest is on! Congrats on the podcast...I have to check it out! Congrats that your book is on Goodreads. I really liked the cover Michael did for Siv. I like the title Moonpennies. Very eye catching. 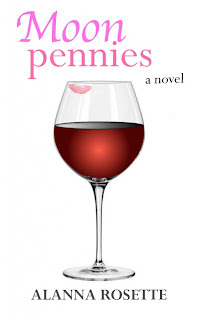 Congrats to Alanna for jumping into the publishing pool with Moonpennies. The title is intriguing but the blurb really captured me. I'm looking forward to following things along as Woven is brought to fruition. Added it to my TBR. Good luck with your novelette. Thank you so much, Angela!! Hi David, must head over to check out Siv and Michael's work. Congrats to Alanna. I do like the lipstick on the wine glass! Haha, thanks Libby :) It was tough deciding whether I should have the lips on the glass or not! It's so cool you have a friend from way back to share your writing journey with. Michael is so talented. Congratulations to Alanna. I love the title. Moonpennies. It's quite evocative. Glad you're getting a lot of writing done. Wish I was too. Moonpennies sounds like a good book. Let us know when you finish watching all the episodes of Merlin so we can chat. Can't wait to get my hands on Woven and best of luck in writing and life David. You are so ambitious-- inspiring. Love the description of Moon Pennies and love the cover. Thanks for sharing. I love Michael's cover, and I'm adding Woven asap. Moonpennies definitely sounds like a romantic story. I'll have to keep an eye out for Gravity. It's right up my ally. 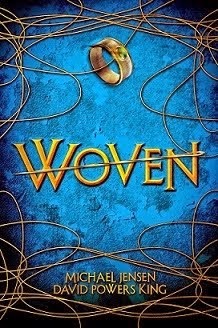 Hopped right over to Goodreads and put Woven on my list! WHOOT! So excited! I'll have to run to Goodreads to add Woven. Best of luck getting it all done! David!! Thank you so much for posting this and supporting me! It means the world! ...I've been feeling nostalgic lately and have been looking through old pictures. Hoping to find one from our Julius Caesar 8th grade play and embarrass us both! Hahaha :) And for the record, I'm super proud of you too, you've accomplished so much! Congrats on Goodreads and good luck completing your goals this week. Btw, are there any advance copies of Woven, or do we all have to wait until November?? Oh, man! That play rocked. And thank you! This has been a wild ride.